Of course, we’ve had anecdotal successes: one girl graduates and becomes a missionary, one of our students comes back from college and tells us about the ministry he is doing while he’s in school, or the prodigal finally comes home. But there is also something that had been pulling at our hearts for so long, something we tried to ignore: when students graduated high school, most of them graduated from their faith as well. That’s what this blog is about. This blog is a place for me to process out loud some of the observations I have about how youth ministry is changing, and how I think it needs to change. I hope you will contribute to this discussion by leaving a comment on a relevant post, writing your own response on your blog, or guest posting on my blog. We’re all in this for the same reason: we want to see kids give their lives to the cause of Christ. Let’s work on this together. Join the conversation. Feel free to email me using this page. In 2005 I was on my internship as a youth ministry major at John Brown University when I read Soul Searching. That book, combined with some serious theological grappling that had been going on the previous 2 years, convicted me to do anything I could to buck the status quo of youth ministry. 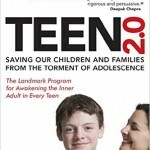 Our teens are too important to us to keep letting them down. So, I graduated from JBU in 2006 and have been in full-time ministry at Hope Lutheran Church. Hope is a unique congregation, but perhaps the perfect youth ministry laboratory: it’s small, nimble, doesn’t over-mange its staff, committed to youth ministry, and averse to traditional programming. I have been experimenting with youth ministry ever since. In 2008 I started working (slowly) on a M.A. 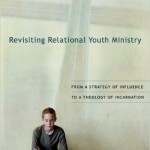 in Children, Youth, and Family Ministry from Luther Seminary. It is simply another way for me to continue to process through what it might look like to do youth ministry differently. My name is Matt Slippy. I am a youth pastor from Cedar Rapids Iowa. I’m looking for youth pastors & youth workers who would be willing to take the survey. It should take 15-20 min. Also, I am surveying parents of teens and youth ministry students at colleges and seminaries. Any help in promoting the site through your connections, denominations, and other avenues to promote this project would be greatly appreciated. Thank you for your help and encouragement. Then I would agree with you! It’s been a while since I wrote this page, but I have realized that the issues facing youth ministry are pretty much universal across the western church.